CARFAX 1-Owner, ONLY 6,580 Miles! Onboard Communications System, CD Player, Smart Device Integration, Keyless Start, Alloy Wheels CLICK NOW! Back-Up Camera, Turbocharged, iPod/MP3 Input, CD Player, Onboard Communications System, Aluminum Wheels, Keyless Start, Smart Device Integration MP3 Player, Keyless Entry, Steering Wheel Controls, Electronic Stability Control, Bucket Seats. TRANSMISSION: 10-SPEED AUTOMATIC W/SELECTSHIFT steering wheel paddle shifters, Leather-Wrapped Shift Knob, 3.15 Limited Slip Rear Axle Ratio. 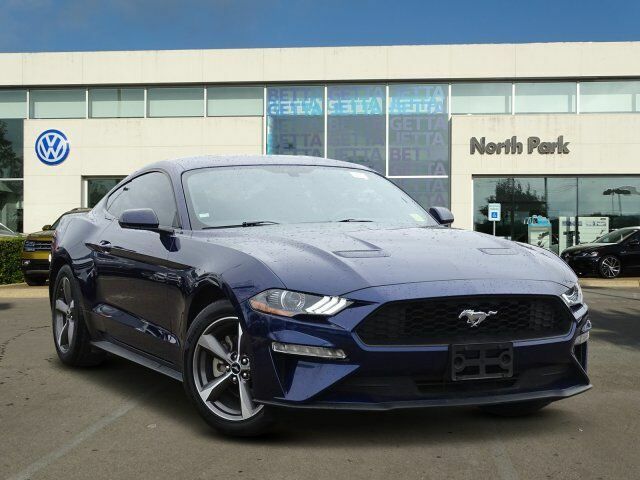 "Now a sophisticated modern muscle car, the new Mustang delivers power, style and performance at a price almost anybody can afford." -KBB.com.